Team Bloody Mary will be open for business immediately following the ceremonial lighting of the Team Rib pits and toast of Patron! We are a low maintenance and well oiled machine, so we scrape by with minimal planning and very little brainpower in comparison to some of our neighbors. Due to rising popularity and demand over the last few years, I'm considering adding GJ's World Famous Tito's Sunrise as a sanctioned beverage this year. We'll see. We will arrive with all the needed supplies to keep the greatness flowing throughout the morning and early afternoon. But being a team of few serving the great masses of TBH, expenses would make the effort prohibitive if it were not for the kind generosity of our customers. We will have a tip jar on the table to use at your discretion. As usual we will also share our collected tips and donations with our partners at Team Rib to help offset the expense of 72 racks of babybacks. Looking forward to another great weekend of fun and fellowship! Team Bloody Mary is not an officially sanctioned Bownanza team, and is neither directly nor indirectly affiliated with Bownanza, TexasBowhunter.com, Michael Middleton, Queen Mary, Tnik, or any partners, sponsors, or subsidiaries of the same. Team Bloody Mary will not be selling, trading, swapping, bartering, issuing or providing in any means or manner, alcoholic beverages to members at large of TexasBowhunter.com, their families, friends, enemies, in-laws, outlaws, or the general population of the Great State of Texas, neither now nor at any time in the future. However, being the social folks that they are known to be, it is very likely that Team Bloody Mary will gladly share small portions of their own personal stash of their favorite breakfast beverage with a select few close personal friends, all of whom rather coincidentally are 21 years of age or older, noticeably sober, not under the influence of drugs whether prescribed by a licensed physician or otherwise, are not at the time nor in the near future planning to operate heavy machinery or equipment, are not at the time pregnant but may be in the near future (for which the consumer shall indemnify and hold harmless Team Bloody Mary), and are assembling in the early hours of March 17 2018 in a quiet parking lot of a family-friendly park in College Station, Texas. Team Bloody Mary reserves the right to not include you in their clique, at their discretion. And as always, Team Bloody Mary encourages you to drink responsibly and not act a fool. Sure wish I had one of these this morning. Bump for Duane and crew. I can taste them already! I thought you died the other day. Best bump of the day right there Paz!! You are my favorite team! Mine also along with the Titos sunrise! Do you deliver across the parking lot?.. I wish Humper still worked for you. We could make him the delivery boy..
Find me at the Saturday morning pit lighting, and we'll discuss your qualifications! My best helper (Kendra) is out this year and my other best helper (Barb) doesn't show up until brunch, so your application is getting considerable interest. Due to increasing popularity over the years, I'm loaded up on Tito's Sunrise* ingredients. I miss my early morning Humps! One of these years, when I get to spend the night at the hotel again, I'ma gonna be able to partake in yall's wonderful morn-n Breakfast Veggie Slurpees. Sure look-n forward to that year! 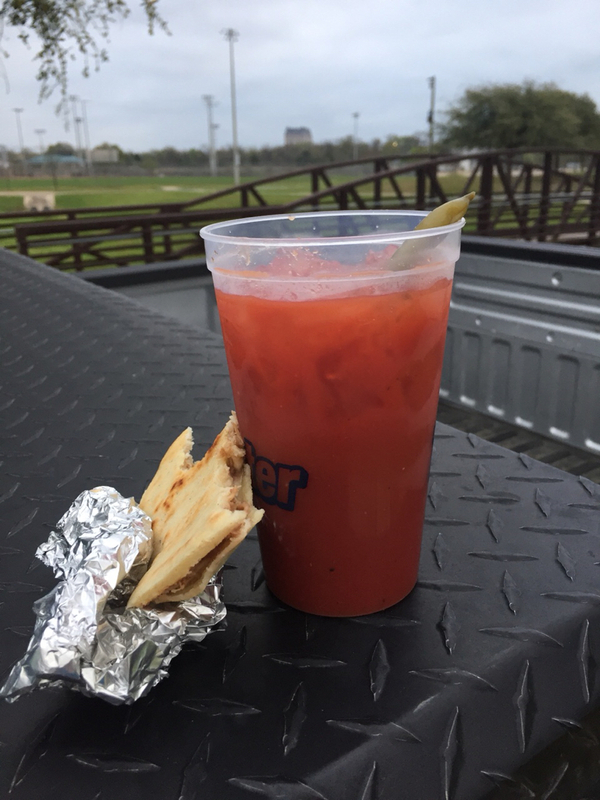 Just a reminder that all donations in the tip jar will to towards offsetting the expense of 72 racks of tender pork goodness on a bone and your favorite breakfast in a cup. This ain't no hoax! You will not be duped by Team Bloody Mary and Team Rib! See you Sat AM...gotta keep my mates on schedule for their morning go-go juice to move some merchandise!! Last edited by Smart; 03-13-2018 at 04:15 PM. Doowayne, would you rather me contribute money or Tito’s and Zing Zang? Cash is king! I think I have us covered on provisions. Many thanks! 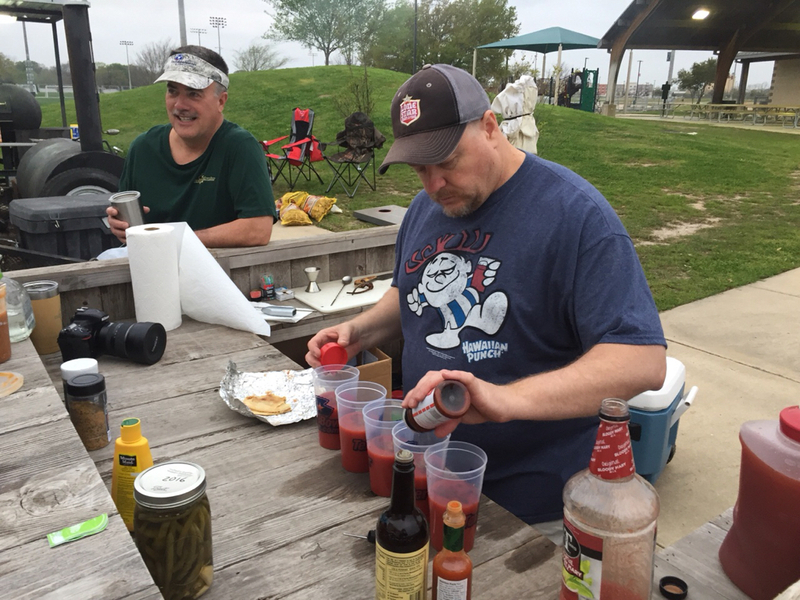 Team Bloody Mary and Team Ribs need paper towels! Free ribs to anyone who can pick some up. Maybe just maybe one more bottle of Tito’s if someone has one in the truck. The bar has been in hiding! Good to see it back! Thanx to Jerry H. And Dale Moser! Thank you for saving and bringing back some balance to so many today. You rock! Thanks Duane and to your apprentice Pasty Gangsta! Also to Pazthru for filling in for you when you needed a break.